Shostakovich, Dmitri Dmitrievich (1906-1975), the leading Soviet composer of the mid-20th century. Born on September 25, 1906, in St Petersburg and trained (1919-1925) at the city's conservatory, he first attracted international attention with the premiere of his First Symphony (1926). His music is distinguished principally by its rhythmic vitality and its rich melodies, which are frequently reminiscent of the gypsy tunes popular in eastern Europe. Most of his large works are composed in traditional forms, and his mature harmonic style is usually simple and direct. His technical mastery of the orchestra is particularly notable. Shostakovich's first opera, The Nose (1929), modelled on the Expressionist and atonal idiom of such Western composers as the German Paul Hindemith and the Austrian Alban Berg, was well received by the critics and public but was censored by Communist party officials as bourgeois and decadent. His next opera, Lady Macbeth of Mtsensk (1934; revised as Katerina Izmailova, 1963), again received both popular and critical acclaim, but party publications condemned the opera as counter-revolutionary. Such attacks led him to promise to reformulate his artistic ideas. Shostakovich's Fifth (1937; subtitled a Soviet artist's response to just criticism) and Sixth (1939) symphonies were well received, both by the party and the public, and his Seventh Symphony, the Leningrad (1942), composed during the World War II siege of Leningrad, became a great popular success. In 1948 his music was again attacked on political grounds, and once more he promised to reform his musical style. He apparently did so satisfactorily, for he received the Order of Lenin, the supreme Soviet honour, in 1956. 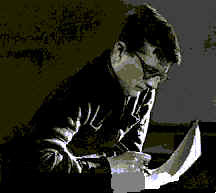 Shostakovich was also awarded the Stalin Prize several times, and in 1966 he became the first composer to receive the accolade Hero of Socialist Labour. He died in Moscow on August 9, 1975. Shostakovich's fifteen string quartets (1935-1974) have won increasing respect as a major contribution to the literature. Among his other works are six concertos (two each for piano, violin, and cello), a total of fifteen symphonies, ballet music, songs, and film scores. Despite occasional flirtations with atonality in his earlier works, Shostakovich's achievement as a whole has been seen as an important contribution to tonal music at a time when his most influential contemporaries were turning either to serialism or Neo-Classicism. This can be seen especially in the symphonies, which continue the legacy of Gustav Mahler, both in form and harmonic language.